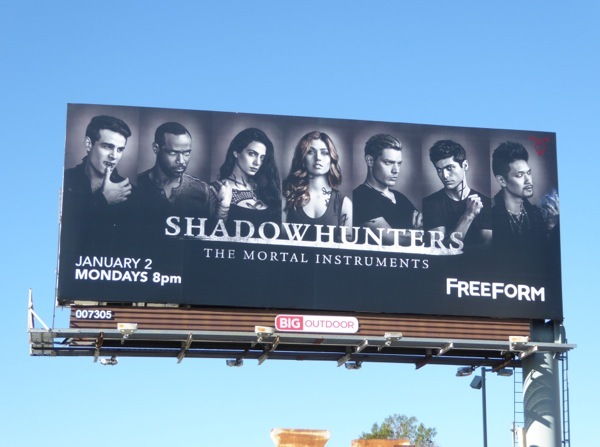 Cassandra Clare's The Mortal Instruments novels may not have enjoyed such a successful translation to the big screen back in 2013, but the rebooted Shadowhunters TV series seems to be faring better on the small screen. 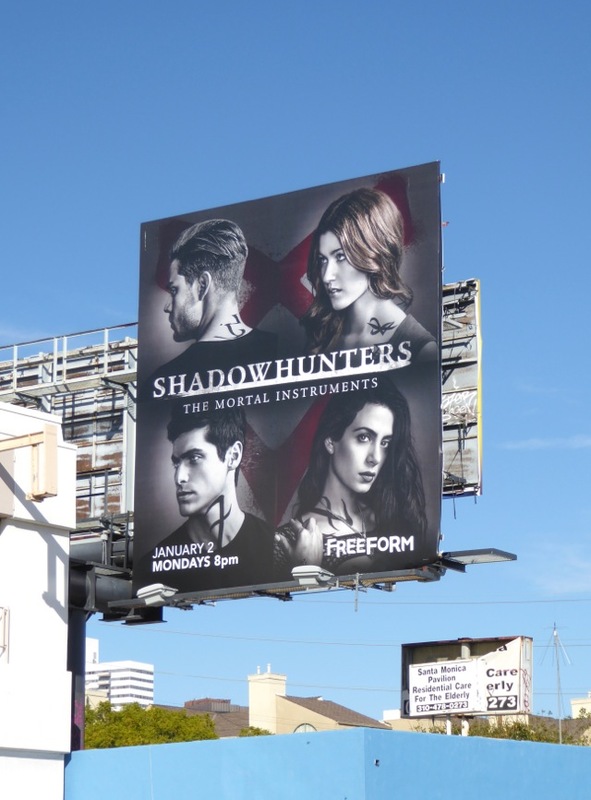 The fiery-haired 'Clary Fray' is back for a sophomore season as the angelic demon slayer learning to use her supernatural powers to protect humanity from dark forces with her Shadowhunter friends. 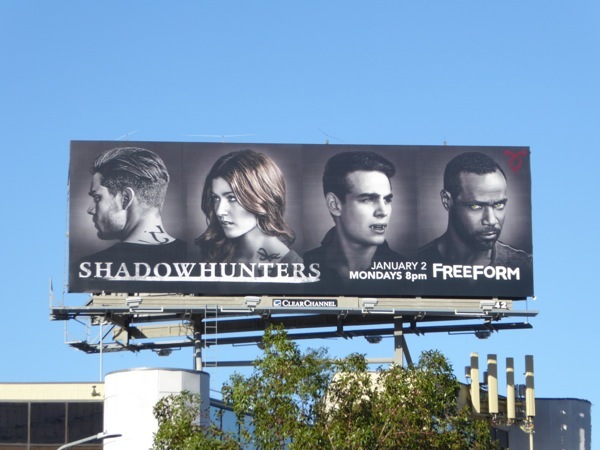 This time around with Shadow World in turmoil loyalties with be tested, unlikely alliances will be made and relationships will be further explored and pushed to their limits. 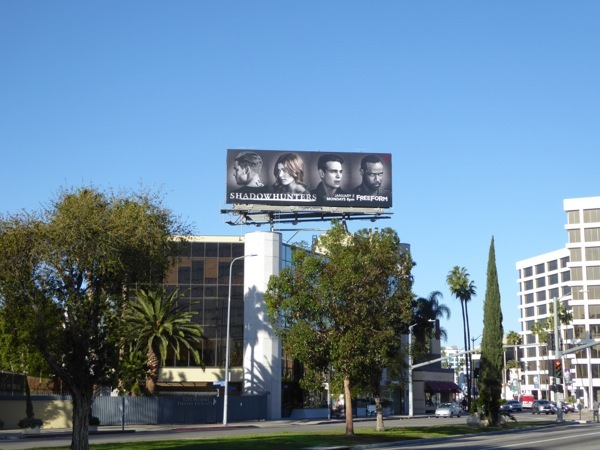 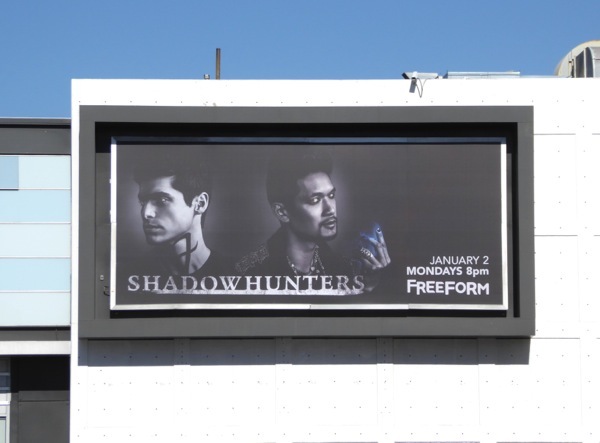 These season two billboards for the Freeform series were snapped along La Cienega Bouelvard, Sunset Boulevard, San Vicente Boulevard and Santa Monica Boulevard from December 18 to December 29, 2016. 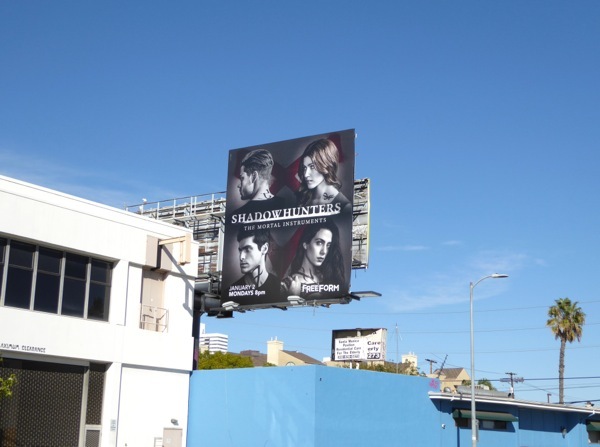 Fans of the show can also enjoy these Shadowhunters season one billboards and these movie billboards for The Mortal Instruments: City of Bones. 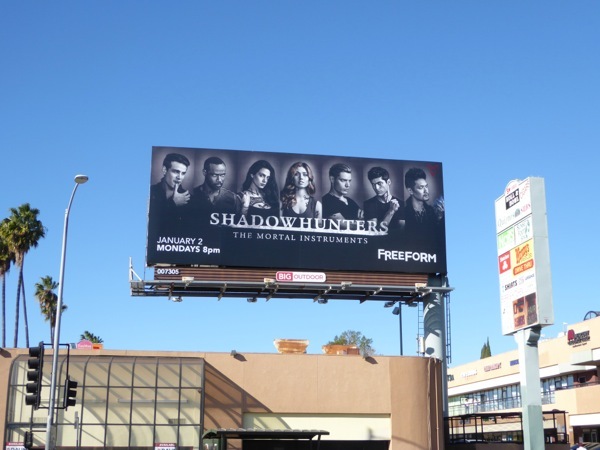 It's time to venture back into a world of runes, vampires, werewolves and warlocks, where the Shadowhunters protect us from hidden evil. 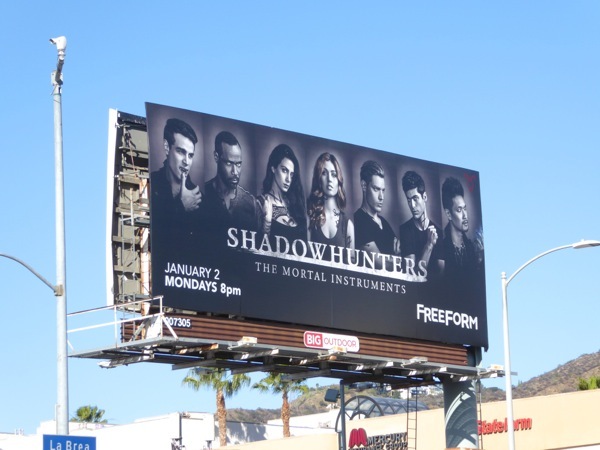 Let's hope the second season is anything but mundane.